For new business owners, computer file management is a task that's often postponed or even ignored. However, most businesses work with, save, retrieve and store lots of data in the form of computer files. If that's the case for your business, you'll need a workable file structure, an approach to file naming that's easy to understand and more. A strong creation, storage, organization and backup process will help you scale your business as it grows. Computer file management is a strong creation, storage, organization and backup process for your business information that will help you scale your business as it grows. 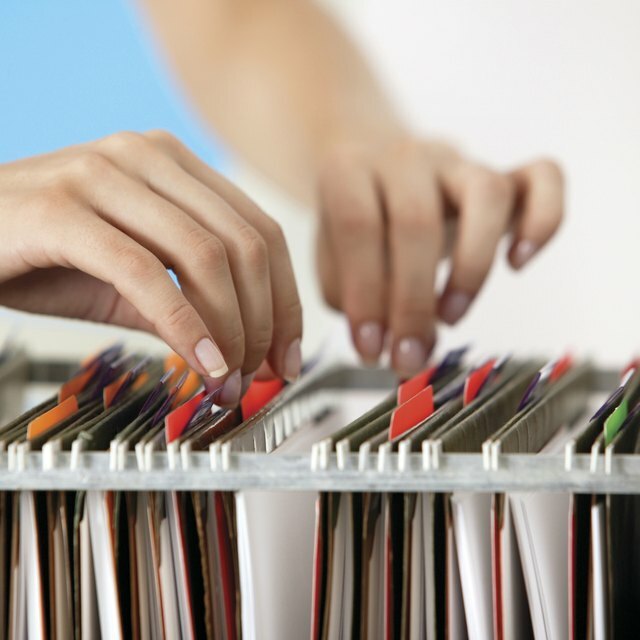 If you’re launching a new business, it’s tempting to overlook file management. You likely don’t have that many computer files to start with, and there are undoubtedly many other pressing matters demanding your attention. However, taking the time to establish a smart file management system from the start pays dividends for years to come. A scalable, organized system for files will grow with your company, keeping your files secure and well-ordered even as the number of those files increases exponentially. Alternatively, postponing file management creates a messy, unworkable system that costs time and efficiency. Adopting a proper system at that point will be extremely costly and usually involve high-priced consultants and additional equipment. A file management system that is easily understood, straightforward to work with and simple to expand is a valuable business asset. How your business chooses to organize computer files will impact daily functions, project management and client relations for years to come. If you can’t locate and retrieve the right document quickly, your business may ultimately lose clients or its reputation. The best way to organize files will vary from business to business. Think first about how your business will create and work with documents before selecting an organizational or hierarchical approach. The internal file structure can be broad and shallow or narrow and deep. The first approach creates numerous top-level folders and fewer subfolders. This can result in numerous documents being stored in multiple folders. The second approach nests multiple folders within parent folders. Hybrid structures can also be created to strike a balance between these two types of hierarchies. Personal preference and business necessity should dictate the specific approach. With the rise in file management services that help locate files more easily by search, some people and businesses have abandoned file folders altogether and dump all their documents into one master folder. This is inadvisable. Any business will create more documents in a year than can be readily managed by such a flat structure. It’s important to create some kind of file organizational structure that helps categorize your files, which in turn renders them easier to locate. Whichever system you choose to implement should be easy to use, secure and reliable. Think about who will be creating and working with these files, and then consider how their work needs can be better met with a file structure. Another key aspect of ease of use is accessibility. If your primary document workers need to access documents on mobile devices, it’s important to think about how those documents will be listed, accessed and worked with on those devices when you’re establishing a file management policy. Moreover, you’ll want to adopt a file management approach that keeps files synchronized across all devices. Finally, include file backup plans in your file management system. Ideally, you should create multiple backup copies of your files. Those backups should be stored on various computers, at least one of which is not located on your workplace premises. Be sure to specify who makes backups, how often and with what technology in your computer file management system. Naming conventions and file structure should aid in locating and retrieving the right document quickly when it’s needed. File names that contain random series of alphanumerics, or even conventions such as “DATE + CLIENT NAME” can be confusing and hamper retrieval. File names should make sense to all users and readily identify the type, purpose and basic content of each file. In addition to a consistent file naming convention, consider adding a file management system. This is a type of computer application that helps store and organize files. It may offer features that allow for tracking owner and subsequent users, date of creation and last modification and other data that may help you work with and maintain your files. File management services such as Dropbox and Google Drive can help you by providing a more search-friendly layout and interface. Instead of remembering complicated file structures or naming conventions you can simply search for what you need. Once the structure and naming conventions are decided upon, create a draft document for your business outlining all the specifications for working with computer files that you’ve selected. Even if you are your only employee, that may not always be the case. A formal document outlining computer file management policies will help if you expand and hire employees in the future. It will also help your business maintain a consistent file management approach and ensure the security of your valuable files.